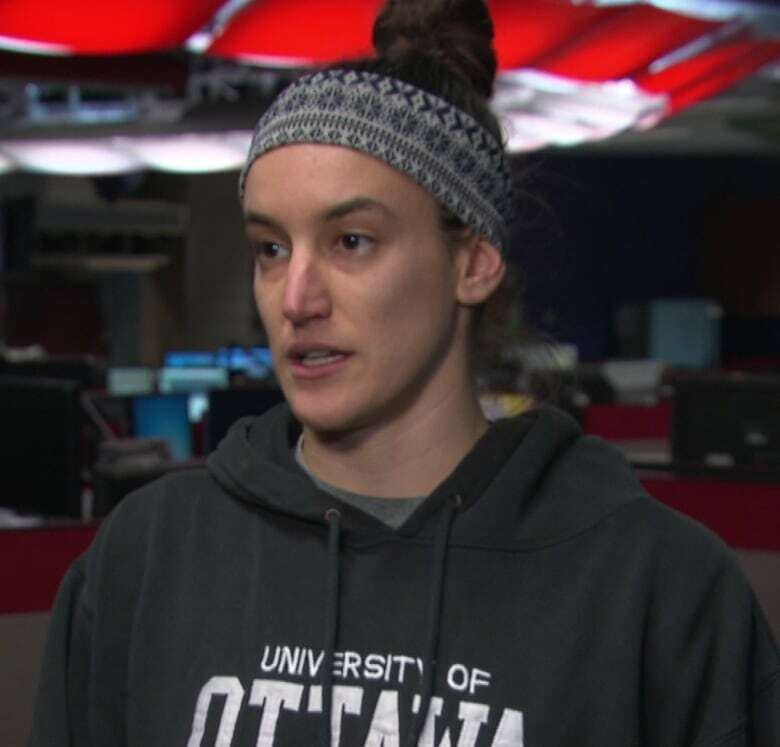 A yoga instructor who says her free class at the University of Ottawa was cancelled because of concerns over cultural appropriation believes the student union's issues are misplaced. Jen Scharf said she's been teaching a free yoga class for the university's Centre for Students with Disabilities, which is run by the Student Federation of the University of Ottawa, for the last seven years. When she checked back in with the centre in September, she said she was told by them the class wouldn't be happening because some students and volunteers were uncomfortable with the "cultural issues" involved. "I guess it was this cultural appropriation issue because yoga originally comes from India," she said on Sunday. "I told them, 'Why don't we just change the name of the course?' It's simple enough, just call it mindful stretching.… We're not going through the finer points of scripture. We're talking about basic physical awareness and how to stretch so that you feel good. "That went back and forth… The higher-ups at the student federation got involved, finally we got an email routed through the student federation basically saying they couldn't get a French name and nobody wants to do it, so we're going to cancel it for now." Cultural appropriation is when a culture that's seen as an oppressor borrows or steals elements of a culture they're oppressing. Scharf said there is also concern over yoga instructors who claim to be experts in the more spiritual aspects of yoga, but aren't. "I'm not claiming it's anything more than a physical practice within that class," she said. "There's been so much positivity and so many people positively helped by this, and that's part of the reason why I'm fighting so hard to keep it. "Those issues are important issues and they should be raised but it's not me they should be mad at; it's the fake people that are making claims they can't possibly substantiate." Scharf said she'd love to start her class again but hasn't found a place or organization at the university willing to host it. In a French-language interview with Radio-Canada, student federation president Roméo Ahimakin said there were no direct complaints about the class, more general questions about the issues and ideas around it. Ahimakin said they suspended the class as part of a review of all their programs to make them more interesting, accessible, inclusive and responsive to the needs of students. He said they're doing consultations on the idea of bringing a free yoga class back and could get a more accessible version of it as soon as the next semester starts in January. On Monday the University of Ottawa tweeted out a notice that it's organizing free yoga sessions Dec. 1, 8 and 15 at its University Centre. One yoga teacher at the school emailed CBC News to say the university does that during exams and through the summer so there are other yoga options on campus. 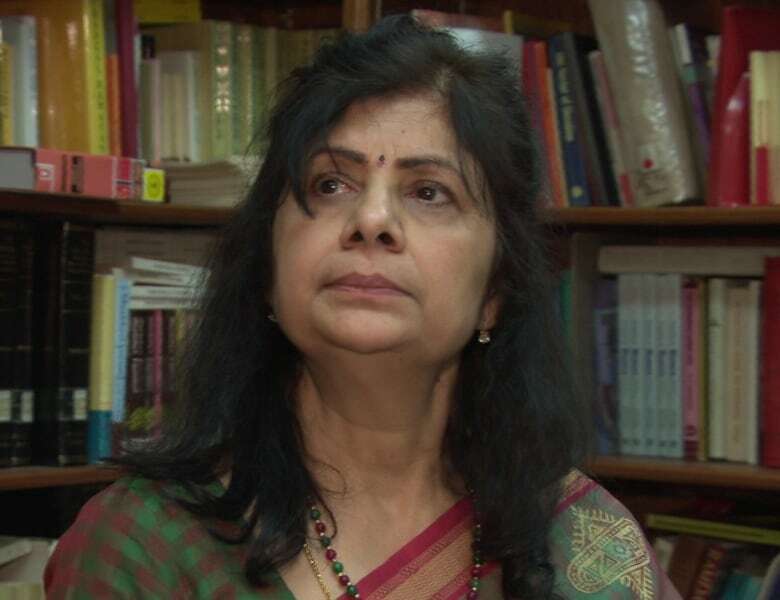 There have been concerns among some Hindus over how yoga has crossed over to the Western world. For instance, the Hindu American Foundation's "Take Back Yoga" campaign is against yoga's commercialization. But at the Hindu Temple of Ottawa-Carleton, one husband and wife said they didn't have an issue with what they've seen around the community and didn't agree with the idea that non-Hindus teaching yoga is culturally insensitive. "In Hindi 'yog' means to unite. To unite with who? With your true self. That's what yoga is. Here we tend to relate it with the postures but it's not just postures... and it has nothing to do with religion," said Girija Waghray, who's been teaching yoga around Ottawa for more than 10 years. "It's basically focusing on our health. By calming our mind, our mind becomes positive." Dilip Waghray said he's been practising yoga for 50 years and while he's uncomfortable with how it's been commercialized in the West, he chooses to focus on the benefits it's having. 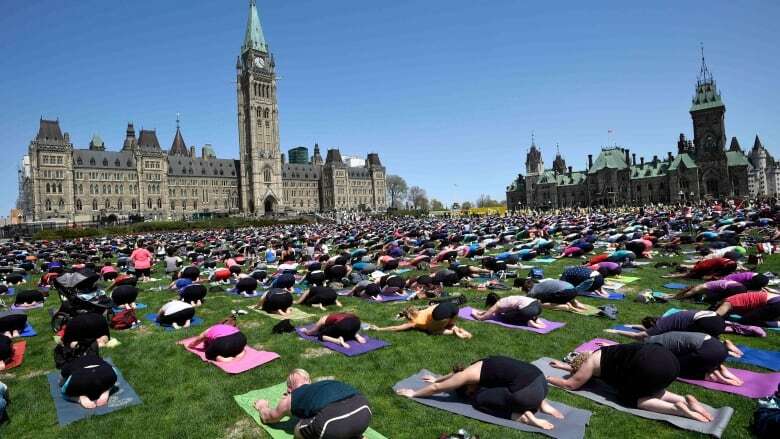 "When I saw what was happening [with big crowds for free yoga] on Parliament Hill I was thrilled and probably a little bit ashamed that my body wasn't as flexible as theirs. I said, 'Wow,' and the first thing I did was share with my classmates back home," he said. "If you look at what the Western world has adapted it is just phenomenal. Imagine how much good they're doing for themselves. They'll live a long and very happy life." Where's the line between appreciation and appropriation?